While sales of the stevia sweetener have skyrocketed, more research is needed on its health benefits. 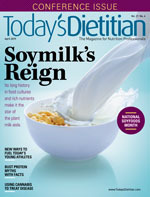 Today’s Dietitian published an article in June 2017 that reviewed the science on the no-calorie sweetener stevia, citing its safety (Generally Recognized as Safe, or GRAS, status) while acknowledging that more research was needed on its possible health benefits. In the almost two years since that article was published, the popularity of stevia, a sweetener made from the Stevia rebaudiana Bertoni plant, has soared, although few additional studies using the sweetener have been published. It should be noted that the vast majority of diet soft drinks are sweetened with low- or no-calorie sweeteners other than stevia, though stevia is sometimes used in combination with other sweeteners, and there has been debate over whether stevia should be considered artificial or “natural.”1 Overall, research findings on the efficacy of all low- and no-calorie sweeteners for weight management have been mixed. When reviewing the research on stevia, it’s important to distinguish studies that examine the isolated steviol glycosides that make up the sweetener and studies examining alcohol extracts of the S rebaudiana Bertoni leaf, which are used as supplements and have been studied more than stevia as a sweetener. While some of the compounds that the two contain are the same, they aren’t identical in composition. A study in mice showed that repeated administration of steviol glycosides delayed the development of insulin resistance and increased the response to insulin, suggesting it isn’t just the replacement of stevia for sugar that affects blood glucose levels.7 It was found that stevia stimulates a protein that’s involved in the release of insulin after a meal. Most experts agree that more studies are needed on stevia’s long-term safety and potential health benefits, particularly when it comes to weight gain and diabetes. Conclusions drawn from the symposium were that data on stevia for limiting energy intake and benefiting weight management, as well as for its effect on the gut microbiome, are limited. Still, commercial stevia sweeteners sold in the United States appear to be a safe and consumer-accepted sugar substitute for use in baking and in a wide range of foods and beverages. * Ratios may vary by manufacturer. 1. Mossavar-Rahmani Y, Kamensky V, Manson JE, et al. Artificially sweetened beverages and stroke, coronary heart disease, and all-cause mortality in the Women’s Health Initiative. Stroke. 2019;50(3):555-562. 2. Watson E. US retail sales of stevia sweeteners rose 11.9% in the past year as sales of artificial sweeteners continue to slide. FoodNavigator-USA website. https://www.foodnavigator-usa.com/Article/2018/10/01/US-retail-sales-of-stevia-sweeteners-rose-11.9-in-the-past-year-as-sales-of-artificial-sweeteners-continue-to-slide. Published October 1, 2018. Accessed February 10, 2019. 3. How to find stevia. Pure Circle Stevia Institute website. www.purecirclesteviainstitute.com/healthy-lifestyle/how-to-purchase-stevia. Accessed February 10, 2019. 4. Oehme A, Wüst M, Wölwer-Rieck U. Steviol glycosides are not altered during commercial extraction and purification processes. Int J Food Sci Technol. 2017;52(10):2156-2162. 5. Jeppesen PB. Steviol glycosides and their impact on health. Paper presented at: American Society for Nutrition’s Scientific Sessions; April 22, 2017; Chicago, IL. 6. Samuel P, Ayoob KT, Magnuson BA, et al. Stevia leaf to stevia sweetener: exploring its science, benefits, and future potential. J Nutr. 2018;148(7):1186S-1205S. 7. Philippaert K, Pironet A, Mesuere M, et al. Steviol glycosides enhance pancreatic beta-cell function and taste sensation by potentiation of TRPM5 channel activity. Nat Commun. 2017;8:14733. 8. Theophilus PA, Victoria MJ, Socarras K, et al. Effectiveness of stevia rebaudiana whole leaf extract against various morphological forms of Borrelia burgdorferi in vitro. Eur J Microbiol Immunol (Bp). 2015;5(4):268-280. 9. Bender C, Killermann KV, Rehmann D, Weidlich HH. Effect of stevia rebaudiana Bert. addition on the antioxidant activity of red raspberry (Rubus idaeus L.) juices. Beverages. 2018;4(3):52.